An epic story of love, sacrifice and redemption, interweaving one family's intensely personal drama with the terror and chaos of the French Revolution. 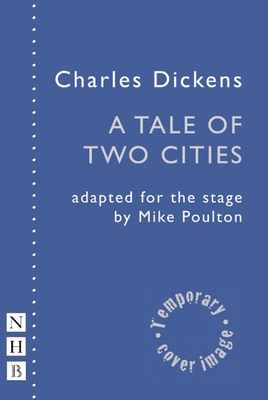 This version of A Tale of Two Cities premiered at Royal & Derngate, Northampton, in February 2014, featuring a large community ensemble alongside the main cast. Mike Poulton's adaptation is ideal for any amateur theatre companies, schools or youth theatres looking to stage a bold and dramatic version of Dickens' classic. Charles Dickens (1812-1870) was an English writer and social critic who is generally regarded as the greatest novelist of the Victorian period. Mike Poulton is a playwright and translator. His work has been staged at the Donmar Warehouse, Old Vic, Almeida Theatre and for the RSC, amongst others. Mike Poulton has written many successful translations and adaptations, including Ibsen's Rosmersholm, Schiller's Don Carlos, Luise Miller and Wallenstein, and Chaucer's The Canterbury Tales, Malory's Morte D'Arthur, and Hilary Mantel's Wolf Hall and Bring Up the Bodies for the RSC. Charles Dickens (1812-1870) was an English writer and social critic who is generally regarded as the greatest novelist of the Victorian period.